New 3D HVAC Design Software – Finally!! | Russell King, M.E. I’m going to keep this short and sweet. I’ve been working on a side project with my son, a software wiz, for over a year. I decided a long time ago that it was time for a major improvement in residential HVAC design and energy modeling software, or at least in how information is taken from the plans and put into that software. We finally have something that we are ready to show off and I couldn’t be more excited. It has to be easy and fast – Too many smaller projects, especially existing homes, don’t have the time budget to do a full blown ACCA Manual J/S/D layout using currently available software. We need something fast enough that it can even be used as part of the bidding process. It has to be graphical and look like a house and not just be a bunch of numbers in a table. – Humans are visual creatures. It is too easy to make mistakes when looking at a bunch of numbers. We need to be able to see that something looks right. It has to be three dimensional (3D) and draw ducts realistically and to scale. 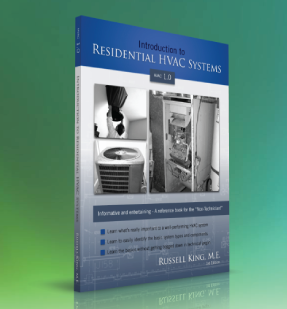 – The hardest part of designing a residential HVAC system is figuring out how to make the ducts fit. Looking down on a 2D plan set just isn’t good enough. This has always been mutually exclusive with goal #1, above, because 3D always meant some kind of CAD. But, what if you could quickly build the house out of room size blocks rather than draw the house line by line? I think we’ve done a very good job meeting these goals, if I may say so. It is called Kwik Model. We are not finished, but we are very close. Check out this 6 minute and 33 second (sped up 4x) video that shows me creating a 3D model of a 1750 sf house and then laying out a full 3D duct system all in about 27 minutes. I’ve created a YouTube Channel HERE and will try to regularly upload new videos that demonstrate Kwik Model’s features and capabilities. Stay tuned! We are close . . . so close.